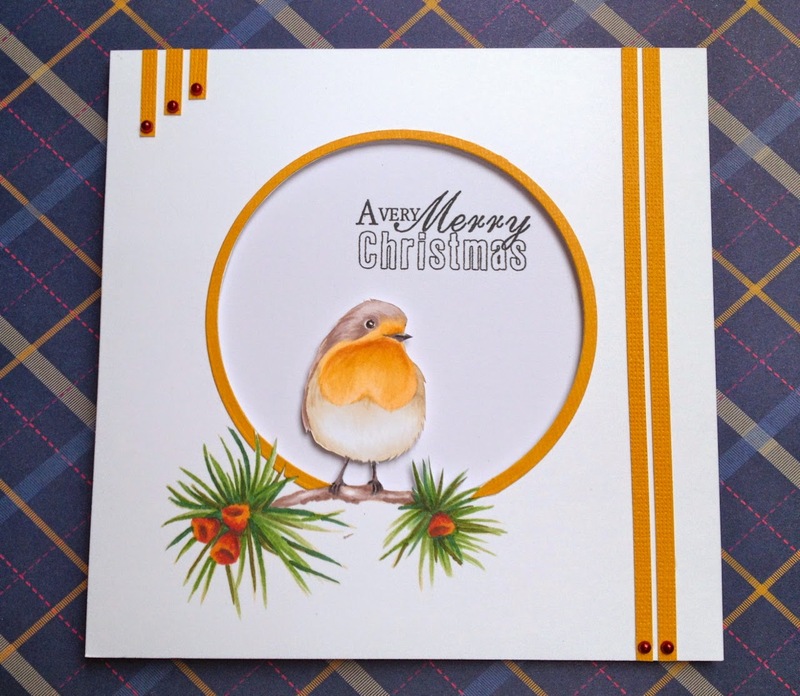 If you have watched Jenny on C & C last Friday you will have seen some of my cards as well and as I thought it might interest some people how I did a few things I took some pics while creating them. Firstly I made this little number with Otto, the Owl. He can be found here. 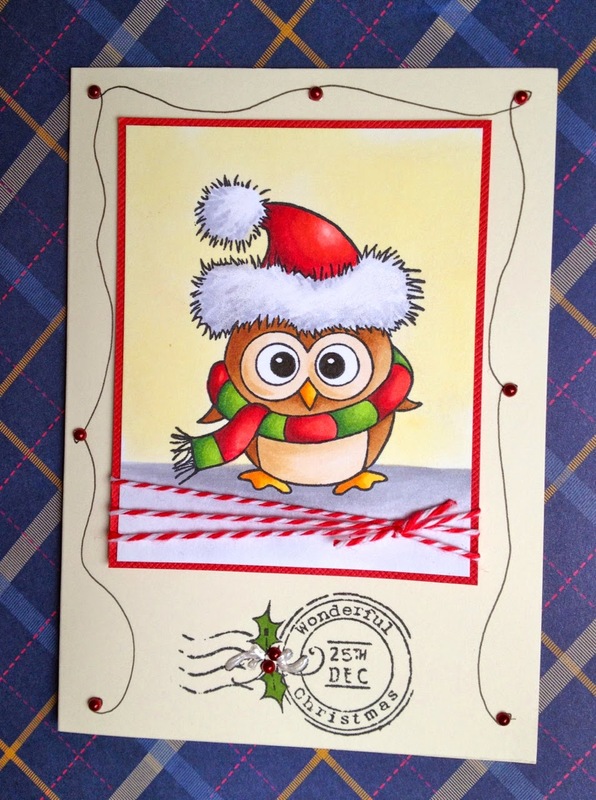 I stamped and coloured the image plus a holly sprig from Berries and Birdsand coloured them with Copics. Then I looked for a paper that would give the impression of falling snow but when I couldn’t find anything I liked I decided to make my own. I randomly placed some small round labels I had lying around (I use them to mark my Ciao pens with their numbers on the end of the caps). 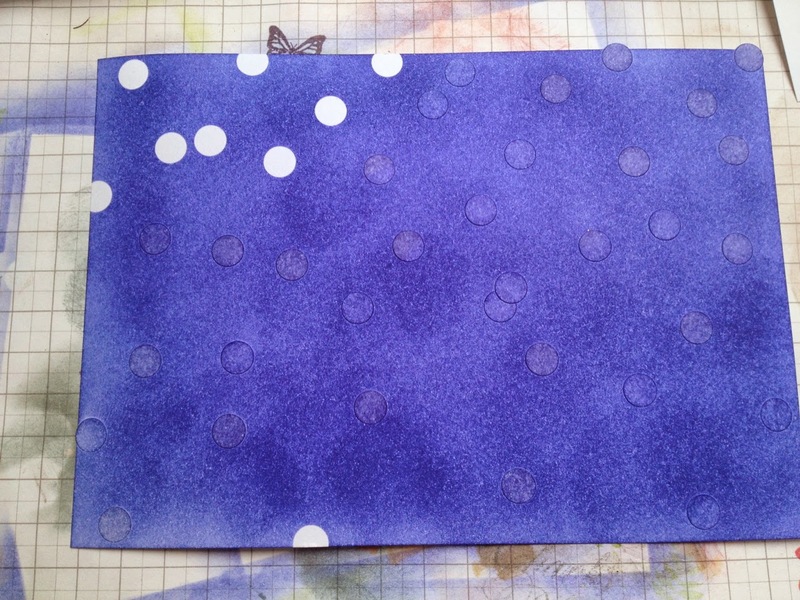 Then I used a sponge applicator to rub Memento in Paris Dusk all over the sheet. Not perfect, but I liked it and the card came out nice, I think. 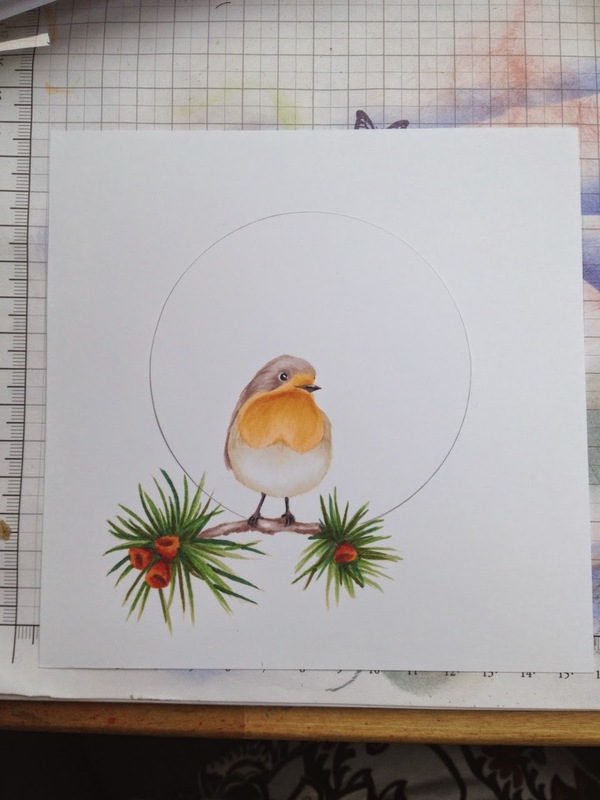 I wanted to put him on a card that would showcase him without distracting too much so I just stamped the little branch with berries under him and coloured (again in ‘no-lines) and used a die to trace a circle around to frame him. I then used a craft knife to cut that circle out. Bit of a job between his tiny legs but I managed it. I placed some coordinating coloured card (die cut this time!) around the cut out and finished the panel with some strips of the same card and pearls. Then I just popped the whole panel up on foam pads and stamped the sentiment through the circle onto the card blank. Voila! This entry was posted in News, Tutorials on 31/08/2014 by Alexandra Kamann. This entry was posted in Gallery on 29/08/2014 by Becki. Good morning, Heidi here to share another blog project on the last Friday in August, but first …. 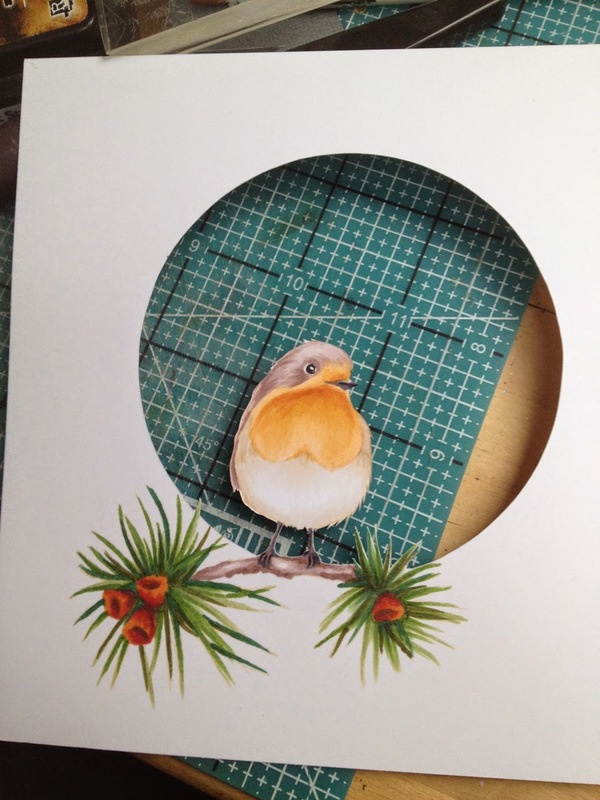 Our lovely Jenny will be on Create & Craft today at 10am and 2pm. She will be showcasing lots of lovely new stamp sets. Set your Sky+ for the hours above and feast your eyes on her wonderful demos and all of the gorgeous DT samples. For my project today, I have made a little card using ‘Otto’. 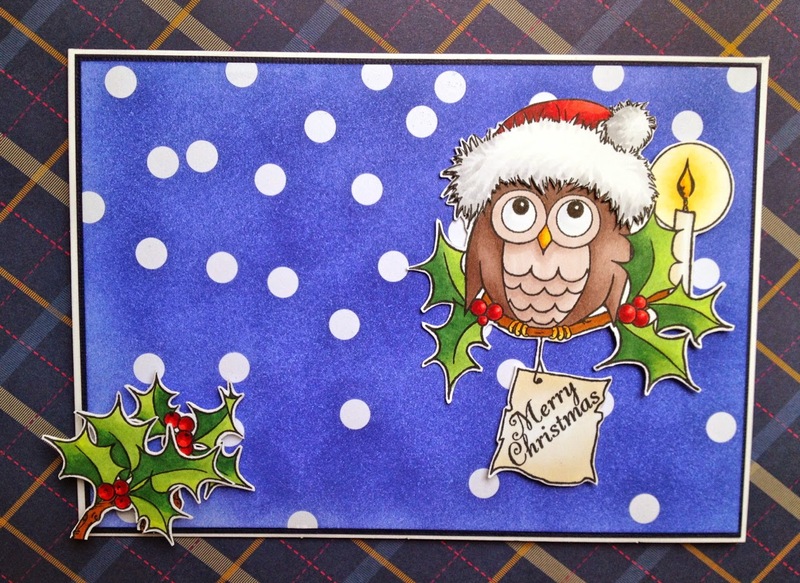 He and ‘Ozzy’ are two new owl stamps that Jenny will be showing you today. You will fall in love with them as much as the design team have. The products I have used on my card are, some gorgeous Dovecraft papers, lots of kraft card, Memento ‘Rich Cocoa’ inkpad and Promarker’s. I have stamped up the holly from the stamp and decoupaged the holly and sentiment and have added lots of red Stickles to the berries. Don’t forget to join Jenny at 10am and 2pm today, thanks for stopping by my post. This entry was posted in News on 29/08/2014 by Heidi Green. How are you all today? Did you have a wet Bank holiday too? The weather is definitely changing and there is a nip in the air lately……summer never lasts long enough for me! Well I know we haven’t gone through Autumn yet but I have been working on samples for Jenny for her next show on Create and Craft on 29th August at 10am and 2pm which is Christmas of course and although I cannot show you those samples at the moment, I took time out from them to make another card with the gorgeous Penquins Set from the last show. 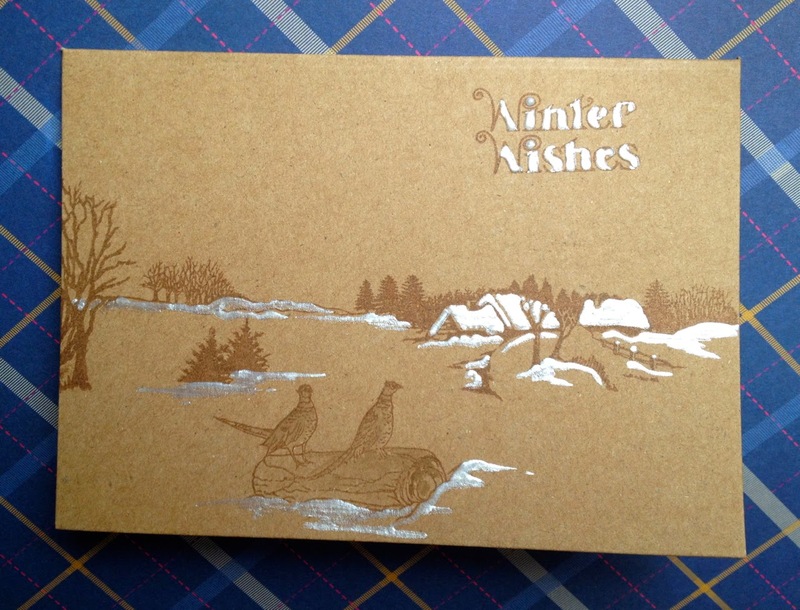 I started by creating a double mountain card by sticking two 6″ square cards together to create a 3 fold card and then folding the third side in half to create the lower mountain….. 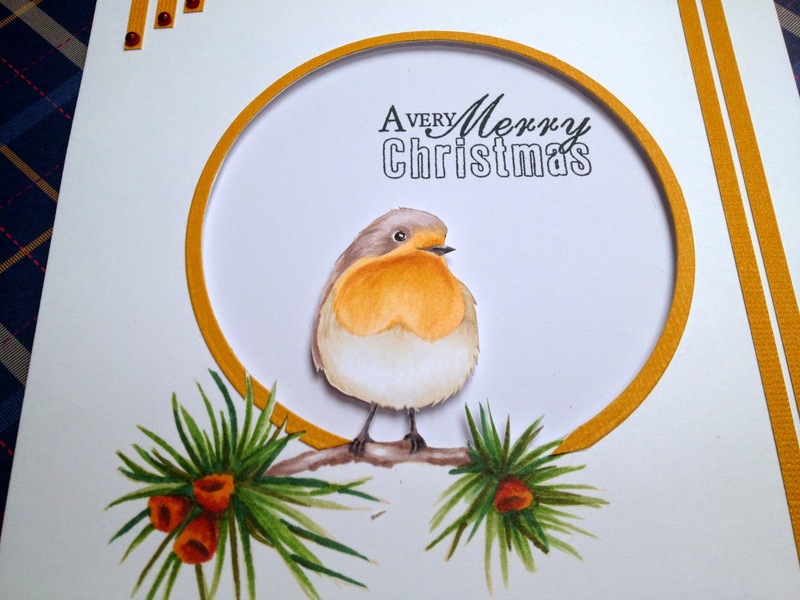 The background that i mat and layered is an Imagination Crafts Christmas background which I love as it is…..
You can really see the sparkle on here…….. 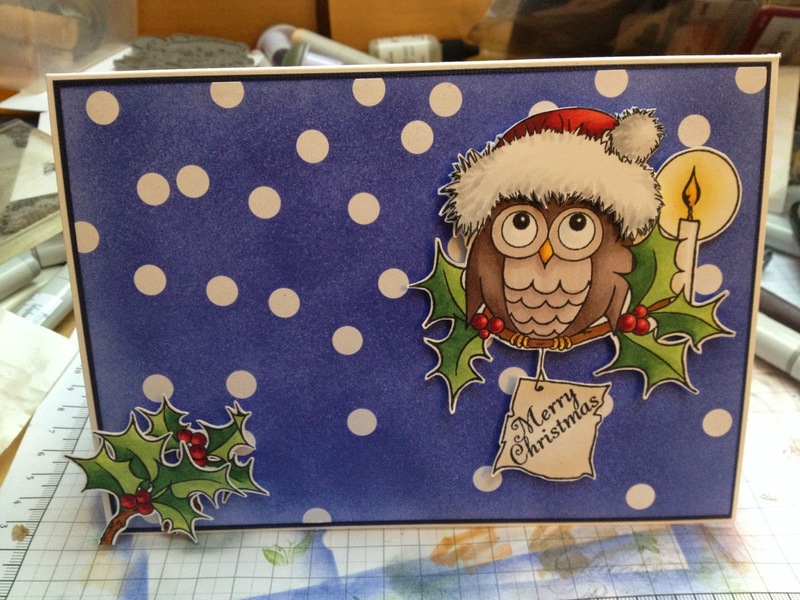 I also added a couple of punched snowflakes and gems to the front…..
Well I hope that you like my little Penquins Inspiration and please leave me a comment ….. 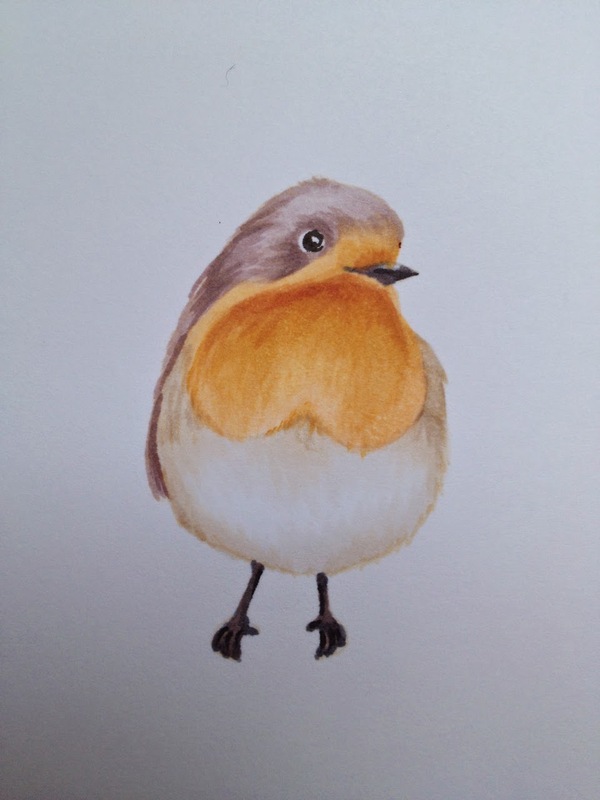 This entry was posted in News and tagged Hobby Art, Lisa B Designs, Lisa Baker, Penquins on 27/08/2014 by Lisa Baker. Hi everyone hope you are all well and excited about the upcoming shows? Jenny will be back on our screens 29th August at 10am and 2pm with some more stunning stamp sets for you all! For my post today iv got back into my Christmas card making and have used the brilliant wink of stella to colour in this beautiful hobby art wreath. I always see Jenny using the pens on TV and always using the clear to blend out the colour and until recently I was a bit unsure of doing it (I didn’t want to ruin my clear) but know I have done it and haven’t ruined my clear! I am in love and am so sorry I haven’t done it before cause what a difference it makes! This one has been coloured using the red, green and clear using the clear to blend the colour. I think it makes a huge difference! I really hope that you’ll give it a go because it really is so easy to do with the pens, they do all the work! Hope you have enjoyed todays post! This entry was posted in News on 22/08/2014 by Laura Wiliiams. Good morning, Heidi here to share another blog project. I have used the glorious ‘Sunflower’ set of stamps (CS064D Sunflowers) and lots of clear ‘Wink of Stella’. The sentiment is from ‘Sentiments’ (CS026D Sentiments) and the card blank is from Craftwork Cards. I have coloured in the images with Promarker’s and inked all of the white edges with a Vintage Sepia inkpad. Sunflowers are my all time favourite flowers and I just love how Sharon Bennett the designer of these stamps, has captured all of their loveliness in so many different images. This entry was posted in News on 19/08/2014 by Heidi Green. It’s my turn on the blog again, although I must confess that it is much later than originally intended. Today is my wonderful Mum’s 84th Birthday so here is a card for her, made of course with some fabulous Hobby Art stamps. 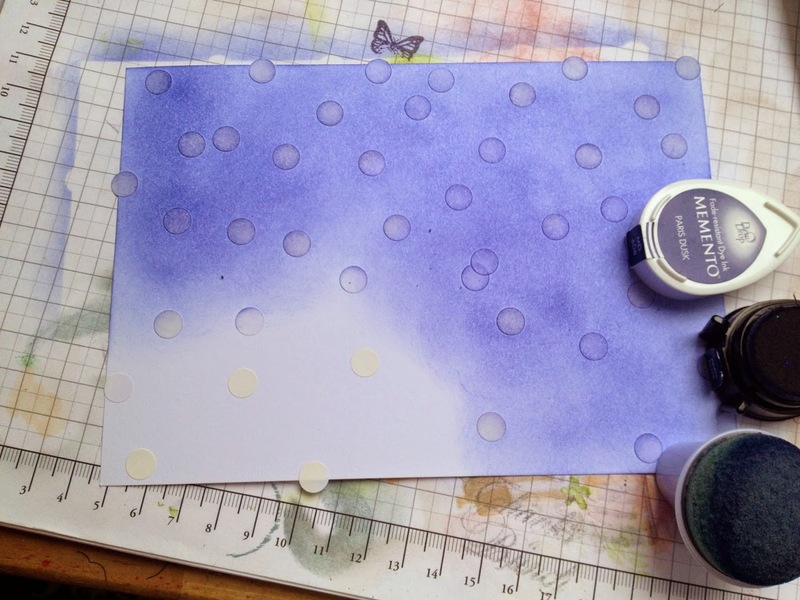 Make the cardstock very wet and then ‘drop’ ink onto it using a fairly large brush. You can be as random or presise with your colour placement as you like, but because the cardstock is wet the colours tend to bleed into one another. 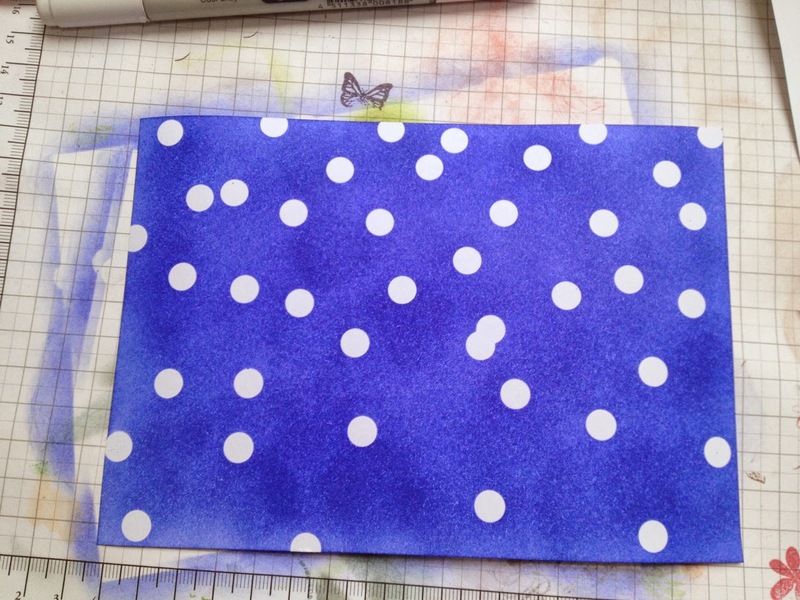 The card can be left to dry, or if you are like me and are impatient, then you can dry it with a heat tool before die cutting a shape from it. The sentiment down the right hand side is one of my all time favourite Hobby Art stamps and is permanently on my craft table. I added some Glossy Accents to the vase which has been painted with more dye based inks once the ‘wet’ panel has dried. I’m going to have to rely on Becki to add all the stamp codes and links for me or this will be yet another day in the posting lol. This entry was posted in News and tagged birthday, dye based inks, wet watercolour technique on 15/08/2014 by Kim Reygate. This entry was posted in News on 11/08/2014 by Bernie Simmons. Morning everyone Laura here today, I hope you are enjoying the blog? The Design team are showing you all their lovely work. For today’s post I’ve decided to step away from the Christmas cards for today and make a birthday card using the super, super cute Ellie rubber stamp that I’ve coloured in using the Spectrum noir pencils. This entry was posted in News on 07/08/2014 by Laura Wiliiams. Good morning all, how are we all today? As you know by now I love the Hobby Art Butterflies stamp set and the other week I thought that I would have a play around with a pop up box card as everyone seemed to be doing them. I stamped the images with Onyx Black Versafine ink and then embossed them with Wow clear sparkle powder. 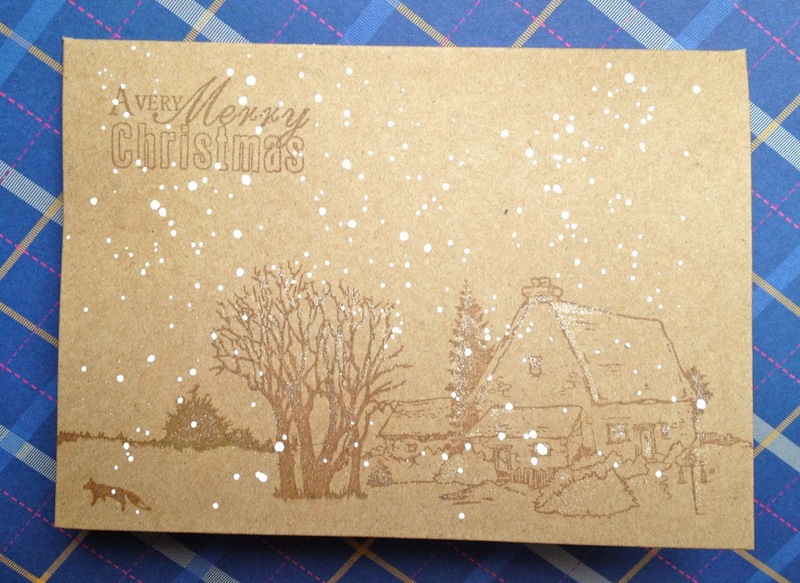 You can see the sparkle on the message…..
Well I hope that you have enjoyed my inspiration, next time will be Christmas projects to show you….. This entry was posted in News and tagged Butterflies, Grasses, Hobby Art, Lisa Baker, Script on 06/08/2014 by Lisa Baker. Well the open day of The Mare And Foal Sanctuary went well I think there were many more people there then I expected. The horses and ponies all looked adorable and I lost my heart to many of the horses there…From Topaz who thought she was a super star to Stanley who really was, and was fresh from winning a lot of prizes and rosettes at a local horse show last week. Here are a few Photos of horses that the sanctuary helps. The Scrapbook pages where on show in one of the stalls. I am pleased to say there where lots of lovely comments made and I hope they made everyone who saw them pause and think a while of what the horses went through. The Hobby Arts Commemorative set along with the Remembrance and Poppy Sets designed by Sharon Bennett were made to do this type of Historical Scrapbook Commemorating the sacrifice our previous generation’s made. I don’t know of another company who has made stamps with Scrapbooking in mind …..Don’t just think WAR though. The Poppy could be used for many other reasons …..We are a military family with 4 generation’s having served and still serving. The pass out parades and the Remembrance day marches are part of our lives. I hope you have enjoyed this journey through history with me. I hope what I have created with the photo’s of the past help in some small way the horses of the present. Hope you have enjoyed looking at these as much as I have enjoyed making them so for now take care. The Mare and Foal Sanctuary.